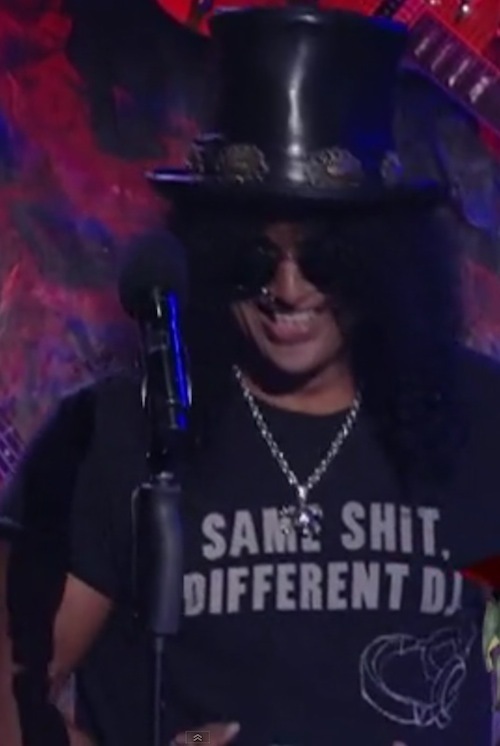 Our version of the T-shirt worn by Guns N' Roses guitarist Slash as a punt intended to Slash impersonator DJ Ashba. Also ideal to wear at a Rave Party or in da Club when you get tired of the same old House music. when he attended the 2012 Revolver Golden Gods Awards.